As tiny fingers traced the route from our home in Tennessee to our new destination, we crossed borders, oceans, seas, countries, continents until we finally found it! "How do you say it again, mom? Kaz-ak-i-stan?Krackistan? " "No, dear, it's KA-ZAKH-STAN! " When we began our journey overseas, we LITERALLY had to dig out our placemat with the world map and LOOK for the place we were being assigned! As our eyes focused in on our new home country crowded between more famous superpowers we'd all heard of, we realized just how little we knew about the world. "It's Kazakhstan (KAH-zahk-stan). It's South of Russia, West of China, and North of Afghanistan." Our country was really quite large! How had I never heard of it? In the days that followed, I'd find our little ones huddled on the floor around that little placemat, trying to wrap their minds around the enormity of the world and the our place in it! We had always known that GOD so loved the WORLD, but it was then we realized that he had called all of us to LOVE the WORLD, too, so we'd better get to know it! And that began our obsession with the WORLD! We wanted to know it; to know it's borders, it's countries, it's people, it's lands! Over the years we've built quite a world map collection! 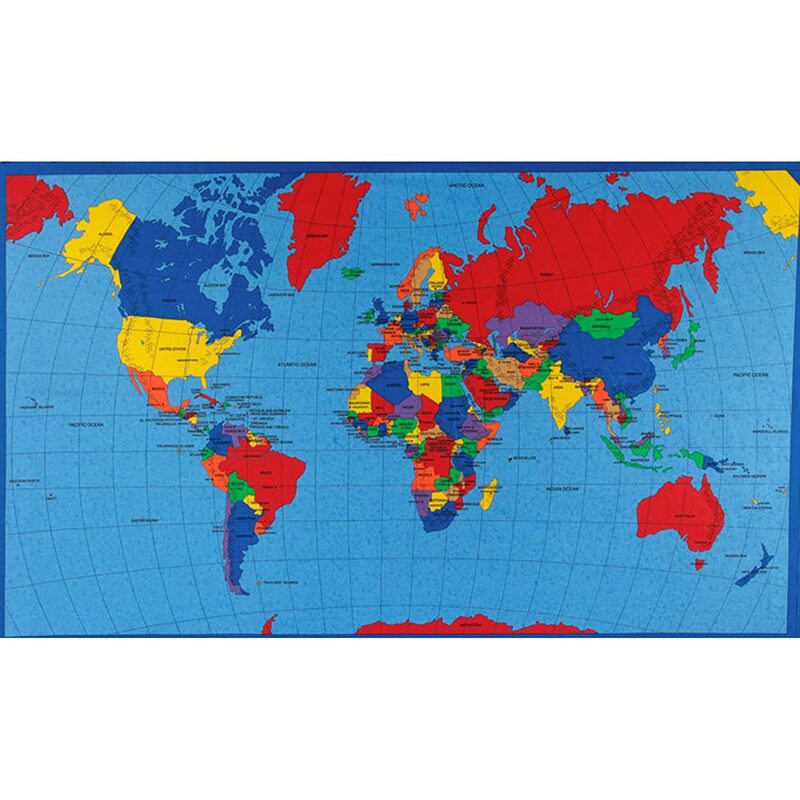 We've got map puzzles, placemats, notepads, shower curtains, table cloths, and more! We've fallen in love with the WORLD and it's changed our family forever! ......then tell us how your family will use it to get to know the WORLD! Take a pic of you and your map!